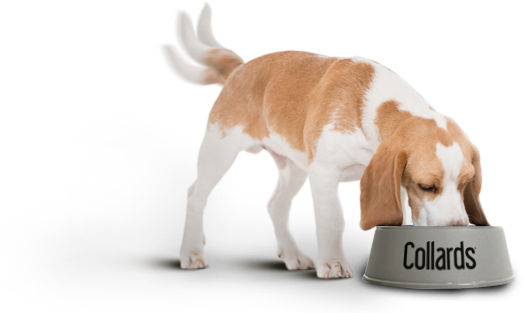 Collards is a complete balanced dog food packed full of quality ingredients. 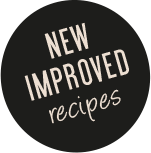 We have created our recipes very carefully so that you can feed your dog a delicious, nutritious and healthy meal. Collards is specially formulated to be kind to your dogs stomach and give you the confidence that it will be easily digested and great for your dog. Our products are made using hypo-allergenic principles by restricting protein sources. We only ever use a single meat or fish source in our recipes and we refuse to use common bulking agents such as wheat and wheat derivatives which are known to have the potential to cause allergies. Give your dog that healthy lifestyle. Give them Collards! Each carefully blended, hypo-allergenic formula begins with a single, source of meat or fish, from tender Scottish salmon to juicy British lamb, fresh free-range chicken to plump, tasty duck. We supplement each one with essential vitamins, minerals and oils to give your dog a healthy diet that helps look after their skin, coat, joints and cartilage. What you’ll never find in a Collards recipe are bulking agents like wheat gluten or dairy – all of which are known as allergy triggers and are difficult for dog’s tummies to digest. 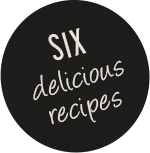 In fact, all of our recipes are carefully made to be kind to your dog’s stomach and free from artificial colours, flavours, preservatives and wheat – always.